The company was founded in May 1990, the founder of Mr. Chen Yingwen. 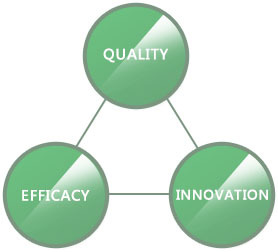 The company was founded with the purpose of the Department of expertise and technology, research and innovation practical and excellent new products, driven by new market demand, and high-quality and high-performance products to maintain the sustainable management, and more use of innovative products for the more the value of the additional remuneration. Images of the Company has been able to maintain their own research and development of new products of the company, since its inception almost all innovative products appear every year, and have access to national patent, in fact, a multi-patent companies. The company's philosophy has always been to the innovative products, leading technology, credit first, service-oriented business for the direction of the spirit, and constantly strive to expand the market, so that products can be sold around the world. Also established a long time between the customer and the mutual trust, mutual benefit, mutual relations exist between supply and demand, and to follow the order of the separation of professional production and sales of the coexistence of sales, production and marketing to achieve win-win results, and to establish sustainable management of the company. Automotive front windshield shade pleated blinds, rear drum-type roller blinds, pleated blinds cover the side after wire electric sunshade, rear remote control electric sunshade.